While the Williams Sisters are often expected to make history whenever they take to grand stages, the precedence they set this time round was all but unexpected. No one who chose to bet on Tennis in the Olympics could have imagined Venus and Serena losing the way they did, and yet that is what happened. Venus and her sister have never lost a women’s double match in the games before. In fact, they have quite a number of gold medals from previous Olympics games to prove their competence. And yet, the fates clearly chose to abandon them this time around, and they were not the only one. Novak Djokovic’s loss was especially astounding, the globally renowned player dropping the ball against Juan Martin Del Potro. Then again, Djokovic’s loss probably takes a back seat when compared to Venus and Serena. The sisters’ record at the Olympics was such that they were expected to exceed expectations and decimate any opponent that came their way. The fact that they fell to Strycova and Safarova is worth noting. Not that these two tennis players are anything to scoff at. However, isn’t like they have ever won a doubles match in the Olympics before. As such, it is easy to see why their victory seemed so unlikely. It should be noted that Safarova was initially expected to play with Karolina Pliskova. When her first partner left the games, Strycova replaced her, and the duo actually lost their first match in the tournament. 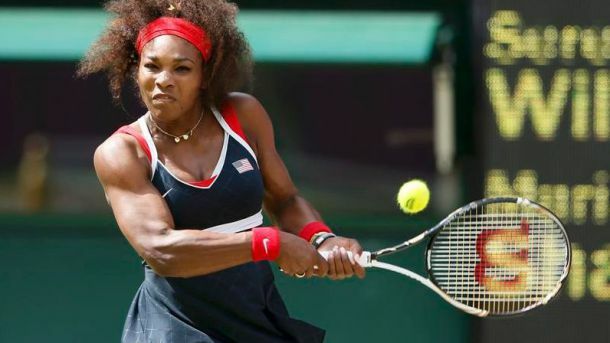 But rather than crumble, they barged into the match with the Williams Sisters determined to make history. And maybe their opponents didn’t take them seriously enough, to begin with. After all Serena and Venus had already attained victories earlier on; they couldn’t have known that Strycova and Safarova would present such a powerful challenge. The sisters clearly didn’t take the defeat well because they made every effort possible to avoid the reporters. Word from their camp was delivered by Mary Joe Fernandez. The coach attempted to provide an explanation as to why the sisters had failed to deliver as expected, saying that Venus, in particular, had struggled with illness even before the games begun. However, rumors of Venus’ cramping were hardly new. The fact that other voices from the Sisters’ camp had arisen before the match to assure everyone that Venus was ready to compete suggest that the Sisters were confident in their abilities to come out ahead despite any medical challenges in play. Safarova and Strycova must have kept a keen ear out for news surrounding the sisters because they spent a surprising amount of time during the match hitting shots towards Venus. Whether this strategy indeed delivered as they expected or Safarova and Strycova were simply the superior team, Venus and Serena will not soon forget this defeat, not in the manner it happened. The sisters were clearly not at their best and their earlier victories will do little to assuage negative emotions they will be nursing over this particular defeat. The lengthy contest didn’t exactly ruin the sisters’ reputation, and they will probably bring harsher judgments upon their own heads than anyone else.